Welford-on-Avon is a picturesque village set in the heart of Warwickshire. It lies within a loop of the Avon about four miles west of Stratford-upon-Avon. 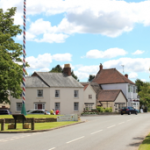 Welford, like most rural parishes, has its historical roots firmly in agriculture, and is still bordered by predominantly arable farmland and commercial horticulture. 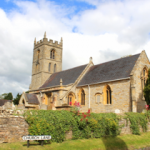 The Village has two churches, St Peter’s and a Methodist chapel; a primary school, a children’s play area; three shops, a garage, three public houses, a private marina and allotments. There is a variety of Societies and Clubs run by local volunteers which include sports, history, scouts, brownies, painting and yoga. St Peter’s is an attractive listed building dating from the twelfth century, which lies within a conservation area. The church can accommodate about 130 people. 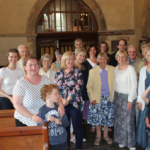 Although we are in the Diocese of Gloucester, Welford has many practical connections with nearby Stratford-upon-Avon, where we are linked with ‘Stratford Churches Together’. We are well-served by a number of helpers and teams. Several lay members of the church lead our non-Eucharistic 11 o’clock services and we run a number of house groups. Other teams look after the fabric and maintenance of the church premises. Weekly Worship. As a village church we seek to offer choice and diversity in our times of worship. Our services are based on Common Worship. At 9.30am we hold a traditional service with organ and robed choir. For the first three weeks of the month there is a Communion Service, whilst on the fourth Sunday we have a Service of Morning Prayer. on the NIV. On the fourth Sunday we have Family Communion – always a happy occasion. 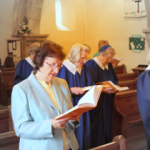 Typical attendances at the two services for 2014/5 were: 9.30am: 28 Adults & 11.00am: 24 Adults plus up to 8 Children. Small Groups. Currently we have three home groups meeting as part of the wider Benefice. This generates a good range of ages and interests to many in our church. We are aware however that more can be done to encourage others to come for fellowship, teaching and support. Children’s Work. Sunday Club at St. Peter’s welcomes children of all ages and we usually meet in term time in the Church Rooms. It offers faith, friendship and fun. The aim is for children to enjoy spiritual growth through a variety of activities and is jointly run by Margaret, Marion and Rebecca. Mission and Outreach. St Peter’s tithes its non-restricted income to a number of charities, such as Birmingham City Mission, Church Pastoral Aid Society, Leprosy Mission, Mission Aviation Fellowship and Tear Fund. More locally we support the Shakespeare Hospice. For many years our main outreach has been through the Alpha Course which we held in a local pub. A number of people have come to faith in Christ, whilst others have found their faith renewed and deepened. After these events, we have encouraged them to join one of our small groups for Bible teaching, fellowship and support. 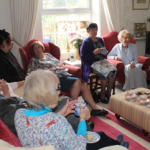 The Bereavement Group – or more delightfully, the ‘BGs’ – was formed seven years ago to reach out and bring together those who had lost their partner, by sharing companionship and social events together. Led by Jacqui and her small team, we meet monthly on the first Tuesday. Friendships have grown and a number now come to St Peter’s. The Methodist Chapel. We enjoy excellent relations with our Methodist friends in Welford. Welford Primary School. We have good links with our local Primary School. Each year St. Peter’s provides ‘Moving On’ books from Scripture Union for pupils in Year 6. ‘Mix’ is about ‘Us and God’ and is for ‘people with learning disabilities, their families, friends and carers’. It works in partnership with other local churches and is well-attended. St Peter’s is actively involved and has provided resources to ‘Mix’. Carols in the Village Hall. Each Christmas Eve we host a time of carol singing in the Memorial Hall – always a popular occasion! Other Events. 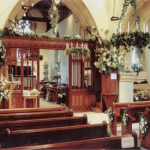 We also host a number of other events for the Village, such as a summer garden party or fête, an occasional flower festival, and maybe a barn dance at Harvest Time. 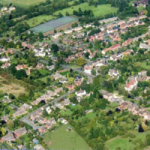 Like many other places, Welford on Avon is a village undergoing change and development. According to a recent Neighbourhood Plan Questionnaire, only 25% of its residents have lived in the parish for more than twelve years. Today it is largely a dormitory area for commuters or retired people, although one-fifth of the community are 19 years or under. Our village is also growing. The 2011 census shows a population of over 1,400 inhabitants in Welford Parish, up from about 1,300 residents previously recorded. 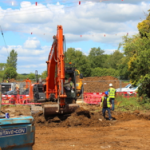 Many more houses are now being built or are at the planning stage. We recognise that we must give a high priority now to mission and outreach and it is our hope that our new Rector will be able to help us develop fresh vision and strategy to reach our community with the love and hope of our Saviour. Looking Ahead. As we prepare for the challenges of our changing and increasingly secular society, St Peter’s is entering the process of updating the interior of the church. As a major part of the refurbishment, we will be replacing our old and uncomfortable pews with attractive chairs, to provide greater flexibility for our more informal services, and also to allow us to adapt the church for more ‘outside’ occasions..